The start of 2014 has seen a series of breakthroughs for peer-to-peer lending. For the uninitiated, peer-to-peer (“P2P”) lending cuts out banks to connect savers and borrowers directly. It has taken root since the 2008 banking crisis but does not rely on bank weaknesses in order to prosper. Unburdened by expensive overheads and legacy systems, it is proving to be an efficient means of matching the supply and demand of money and is growing rapidly – the industry more than doubled in size in 2013. Alongside the ISA breakthrough, FCA regulation of the P2P industry came into force at the beginning of April. This marked a crucial step in the sector’s development as a credible alternative to traditional ways of doing things. Together with our fellow platforms, we have worked proactively for the last three years with government and the regulator to explain the benefits P2P can bring to the competitive landscape in UK financial services and we are delighted that they have responded positively with a regulatory framework. Consumers, rightly, need to know that an industry is supervised. The new rules, which include standard controls on client money, minimum operating capital, and regular reporting, will help formalise the standards that the industry has, up to now, maintained voluntarily. Crucial, for me, is the fact that the regulator has chosen not to restrict wide consumer access to P2P. This is a welcome breakthrough and something we care about. If we restrict the best financial opportunities to so-called sophisticated investors and leave the normal saver with a sub-standard choice of low return products, we will lock in financial exclusion. P2P has the potential to democratise finance in a very positive way and I am delighted the regulator has recognised this. It is now up to the P2P industry to prove it can deliver. While P2P establishes itself across the world, some platforms are already cross border. RateSetter recently announced its launch in Australia, with a local partner, and will be the first in the country to be fully regulated from the start and thus available to all consumers, not just professional investors. This is a stepping stone to potential further launches, which we envisage taking place across Asia and Europe. It is worth emphasising that my absolute priority is scaling in the UK successfully and safely. Whilst there is a strong P2P market in the US and China, other parts of Europe and Asia remain largely untouched by the sector. Whilst the UK has progressed its FCA regulation and the US is already subject to SEC and other state and federal regulation, the P2P industry remains unbalanced in terms of global regulation. In Germany P2P platforms are required to go through a bank whilst in France obtaining the required licence from the French Central Bank is a very lengthy process. If P2P is to become a wider force, it needs to harness the momentum currently being seen in the UK. Regulation itself does not provide all the answers – the platforms themselves have a responsibility to lead the way. And it should be noted that all the momentum in the UK has come “bottom up” from the actions of individual savers and borrowers as opposed to from top down regulation. It is vital that the industry continues to focus on the value and service it can offer its customers – it is the platforms themselves that need to win over consumer trust. 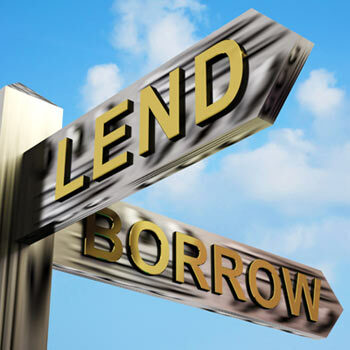 1 P2P Lending: Opportunity and how to invest, Liberum, March 2014.